Annex - Royal LePage Real Estate Services Ltd. The Annex was subdivided in the 1870's and 1880's. It immediately became one of Toronto's elite neighbourhoods. The Annex's first residents included the likes of Timothy Eaton, the patriarch of Eatons department store, and George Gooderham, president of the Gooderham and Worts Distillery. The Annex's Golden Era lasted until the 1920's, when the upper classes began to migrate northward to newer more fashionable suburbs in Forest Hill and Lawrence Park. Those who stayed behind helped form the Annex Residents Association. This powerful lobby group saved the Annex from the proposed Spadina Expressway which would have divided the Annex in half, had it been built. 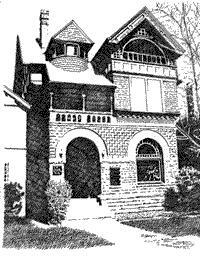 The Annex has endured and is now over one hundred years old. It remains one of Toronto's premier neighbourhoods. The Annex is Toronto's most heterogenous community. Its residents include successful business people, prominent artists, University of Toronto students and faculty, and people from all walks of life.